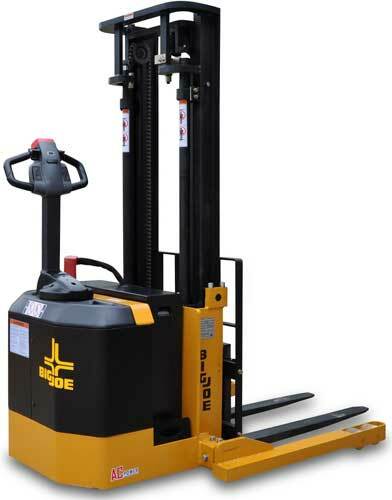 The Big Joe PDS30 & PDS40 features a short turning radius which makes it an excellent choice for narrow aisles, tool rooms and street loading applications. Big Joe's PDM series gives heavy-duty performance for a medium-duty price. This truck has the same structure and drive train as Big Joe's heavier full duty-cycle units. The PDH series has many of the capabilities of a rider. Long duty cycles over multi-shift operations, capacity for heavy loads, the ability to operate in narrow aisles and other congested areas not normally accessible to riders. And because it is a Walkie, it costs significantly less. 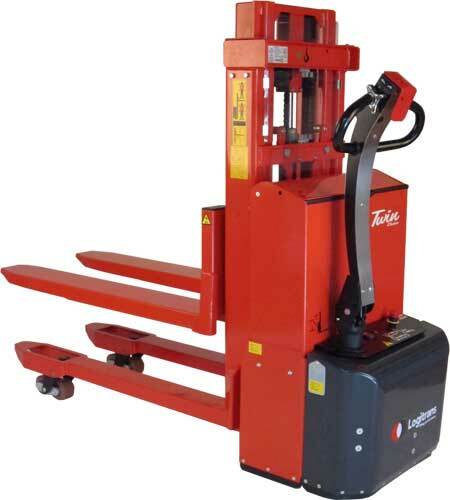 Interthor's SELFS MAXI series of Trans-Stackers Trans-Positioners offer high flexibility and efficiency. 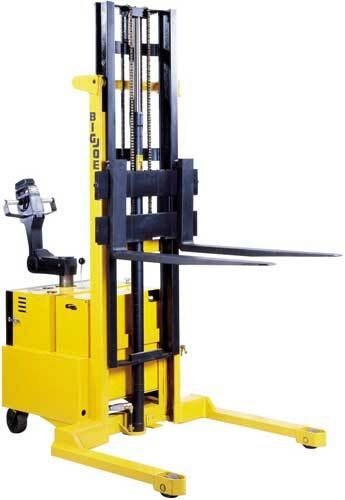 They are able to lift, transport and maneuver loads on open bottom pallets or pallets with bottom boards. 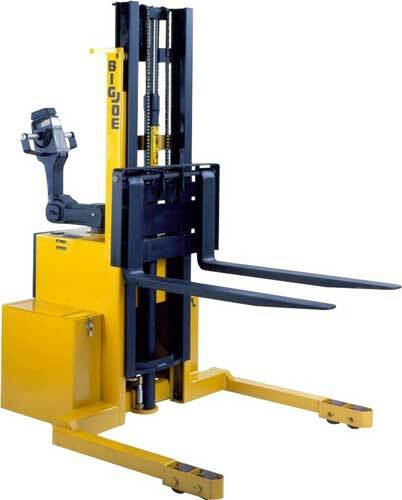 Reduce the amount of trips it takes to transport pallets in half by lifting and moving two pallets at the same time. 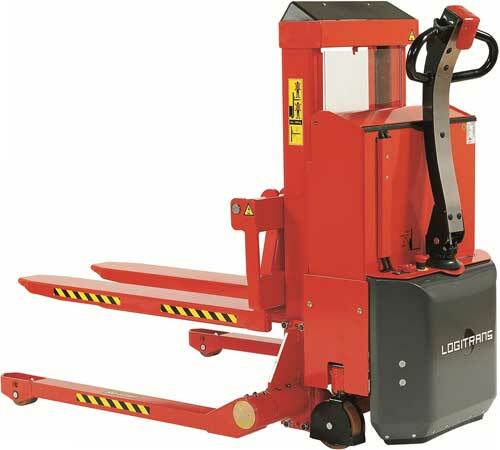 The Twin Stacker is very maneuverable on smooth or uneven floors and able to operate in very confied areas such as freight trucks and storage areas. Length behind the forks of only 25.75"